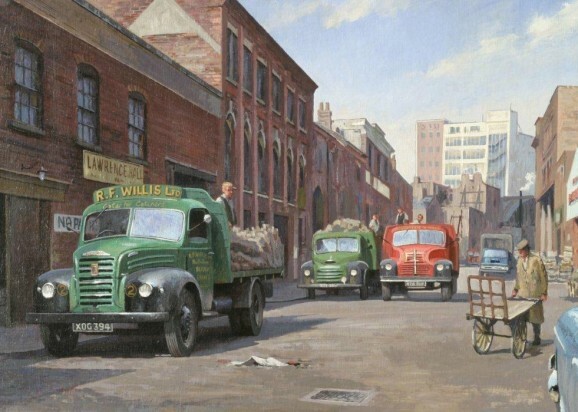 A selection of typical lorries of the 1950s are assembled in the streets around Digbeth, Birmingham’s fruit and vegetable wholesale market where wheeling and dealing were the order of the day. Examples of Ford, Austin and Leyland are in evidence against a background of buildings long since gone to re-development. So sorry about the delay, but I assume that Redbubble haven’t got a good enough image to be able to re-produce it. However the original painting is still available! I will let it go for a good price if you’re interested.